Throughout the Bible the revelation of the Holy Spirit had been step by step. 1. Joel prophesied, “It shall come to pass afterward, that I will pour out my Spirit upon all flesh.…” (Joel 2:28-29). 2. John the Baptist said, “I baptize with water, but He shall baptize with [en, in] the Holy Spirit” (Matthew 3:11; Luke 3:16). 3. In the early part of Jesus’ ministry, He had said that believers were to be “born again…by the Spirit” (John 3:3-4; cp. 1 John 5:1). 4. During His ministry, Jesus taught that men were to receive the Holy Spirit by prayer (Luke 11:13). 5. In the Upper Room, Jesus identified the Holy Spirit as a Person (John 14:15-26), and He outlined the work of the Spirit with both unbelievers and believers (John 16:7-15). Significantly, He revealed that He was praying to the Father for the Comforter to come and abide with the disciples (John 14:16-17). 6. After His resurrection from the dead, Jesus appeared to His disciples in the Upper Room. There He symbolically breathed on them, saying, “Receive the Holy Spirit” (John 20:22). But He insisted they not begin their ministry until they experienced the Spirit actually coming upon them with power (Luke 24:49; Acts 1:8). 7. Right before Jesus was to ascend into heaven, He said, “John truly baptized with water, but ye shall be baptized with the Holy Spirit” (Acts 1:5). 8. Then, ten days after Jesus’ ascension and after much prayer, the Holy Spirit came upon and filled the whole body of believers at Pentecost (Acts 2:1-4). There are two events of the Holy Spirit’s coming that seem to hold historical significance. These two particular events are very, very special to the church, for both Jewish and Gentile believers were clearly seen to be in God’s historical plan. Both Jew and Gentile were baptized by the Holy Spirit, that is, placed into the body of Christ, His Church. 1. At Pentecost: the disciples were “filled with the Holy Spirit” (Acts 2:4). a. This was in fulfillment of the prophecy by Joel. The Spirit was poured out upon the believers (Acts 2:16). b. This was in fulfillment of the prophesies by Jesus and John. The Spirit baptized, that is, immersed the believers with His own presence (Acts 1:5; Acts 10:44-48; cp. Acts 11:15-16, esp. Acts 11:16). 2. 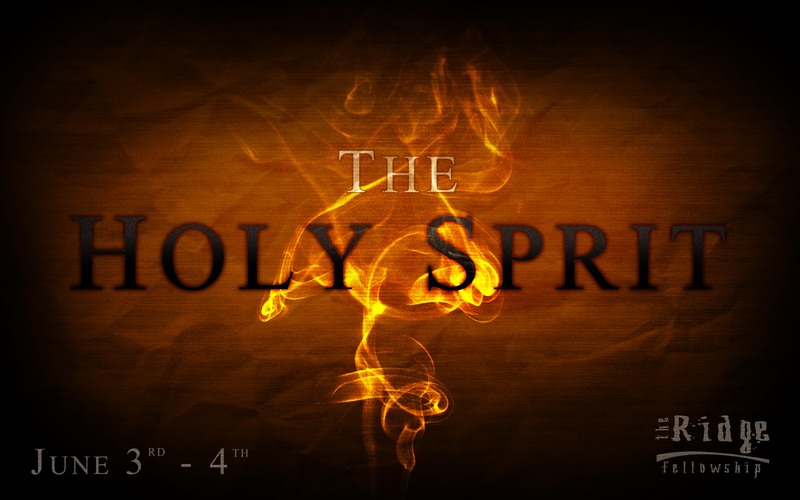 At Cornelius’ house: the Holy Spirit “fell,” was “poured out,” and was “received” by the Gentile believers (Acts 10:44-47). a. Peter said to the Jews who came with him, “These received the Holy Spirit as well as we” (Acts 10:47). b. Peter reported the event to the Jerusalem Church: “The Holy Spirit fell on them, as on us at the beginning. Then remembered I the word of the Lord, how that He said, John indeed baptized with water: but ‘ye shall be baptized with the Holy Spirit‘ ” (Acts 11:15-16). “God…[gave] them the Holy Spirit even as He did unto us“ (Acts 15:8). In all three instances the idea conveyed is that of an event just like their own experience. It is as though Peter pointed to a Gentile Pentecost or at least an extension of Pentecost in Acts 2 to include the Gentiles. 1. At Pentecost, the account uses the word filled, not baptized. Other than these two events Acts records only four other times that the Holy Spirit came upon believers. 1. A little prayer band in Jerusalem was “filled” with the Holy Spirit (cp. Acts 4:8). 2. The Samaritans (half-Jews, half-Gentiles) “received the Holy Spirit” (Acts 8:15-17). 3. Paul was “filled with the Holy Spirit” (Acts 9:17). 4. The disciples of John experienced “the Spirit coming on them” (Acts 19:6). One other fact is important. Other than Pentecost and Cornelius’ house, the word baptize is used in connection with the Holy Spirit only once in the rest of the New Testament. People need to pay attention to this. What is being said is that after the book of Acts, the word baptize is used only once with the Holy Spirit. That one reference is 1 Cor. 12:13: “For by one Spirit are we all baptized into one body.” That is, the Holy Spirit takes all believers and baptizes or immerses, places, and positions them into the body of Christ—into the church, the universal church. In conclusion, what does all this mean? 1. When a person grasps the gospel and believes, really believes, the Holy Spirit enters his life. He comes upon, falls upon, pours, fills, baptizes (immerses) Himself into the life of the believer. This act of the Spirit takes place in the life of the believer. The believer has the Spirit coming into his life. The believer receives the Spirit. 2. When a person grasps the gospel and believes, really believes, the Holy Spirit takes him and baptizes or immerses, and places him into the body of Christ, which is God’s Church. The believer does not feel or experience this act. It is an act of God that takes place in heaven. The believer is counted as a child of God. He is counted as a member of the body, of the church. This is a position, not an experience, which the believer feels. It happens once-for-all. The believer is adopted as a child of God—irrevocably. It is an eternal position, an eternal sonship (The believer becomes a member of God’s Church—positionally (1 Cor. 12:13). 3. After a person is saved, he is to “keep on being filled with the Spirit”—day by day (Ephes. 5:18; cp. John 14:21, the word “manifest”). The early believers were continually filled (Acts 4:8, 31). This entry was posted in Holy Spirit. Bookmark the permalink.